This year is already looking set to be a bumper one in the film industry. There are an endless list of anticipated movies that are set to be a success over 2019. Comedies are one of the most popular genre of film, and there looks to be several leading films to be released this year. Could they surprise and finish at the top the grossing lists? They are proved a popular selection for punters using the online voucher codes for casino. Here we cover four you do not want to miss. The movie is scheduled for release in the US on May 3rd by Lionsgate. The romantic comedy is being directed by Jonathan Levine and starring the likes of Seth Rogen and Charlize Theron, playing the leading roles. The plot covers unemployed journalist Fred Flarsky as he begins to spend time with his former babysitter, who is now running for president. The movie is expected to be a hit and could be another successful comedy with Rogen playing one of the leading roles. The highly anticipated return of Toy Story, with the film set to be released on June 21st. The animated comedy is again being produced by Pixar for Walt Disney, and will be the fourth installment and sequel to Toy Story 3 from back in 2010. The movie is being directed by Josh Cooley, and will include many of the previous stars. This is one of the most anticipated movies of 2019. The plot covers the toys embarking on a road trip adventure as they are introduced to ‘Forky’, and as expected there are loads of twists and turns throughout. The action comedy film is set to be released later this year and is already gathering a lot of attention from around the world. The film is being directed by Rob Letterman, and is based around the 2016 video game, Detective Pikachu. The movie is also set to star an impressive voice cast that includes Ryan Reynolds, as the lead role of Detective Pikachu. 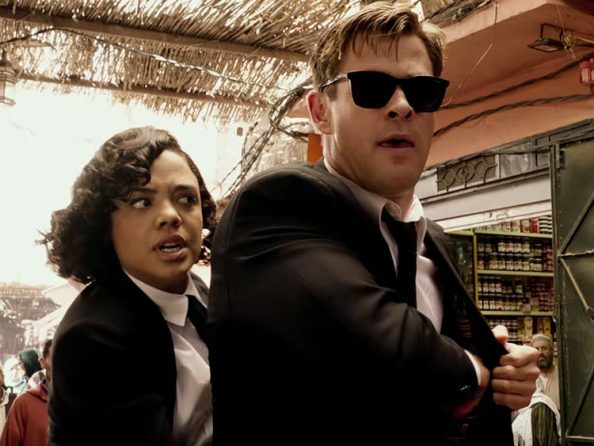 This upcoming science fiction action comedy is being directed by F. Gary Grayand and is of course the sequel of the previous Men in Black film series. They are also based around the Marvel comics of the same name. The movie looks set to be a hit with a number of stars including the likes of Chris Hemsworth, Tessa Thompson and Liam Neeson. The movie has been in the works since back in 2012 and is set to be released at the latter stages of the year. It covers the team of secret agents travelling around the globe, as they become involved in a series of alien attacks.